Data protection modernizing is more than swapping out old technology for new, it also means leveraging both new and old tools, technologies and techniques in new ways. In addition this means taking a step back to revisit what is being protected when, why, where and how, while leveraging new (and old) tools in new ways to be more efficient and effective. 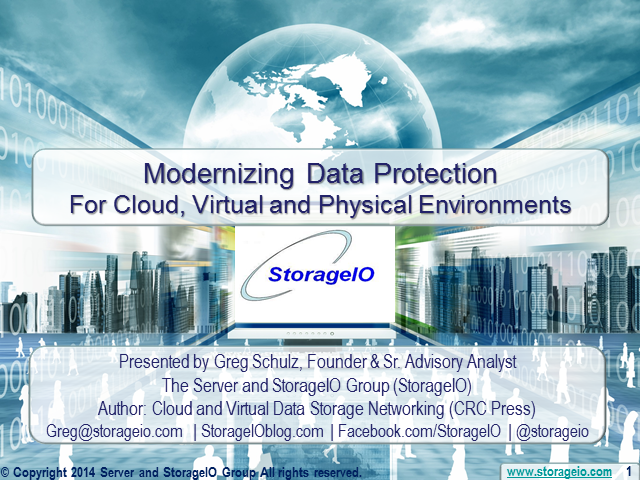 This webinar looks at protecting cloud, virtual and physical environments as well as using those technologies as tools as part of data protection including backup, HA, BC, DR and Archiving from an applications perspective.